The Best Homemade Chicken Pot Pie to Celebrate National Pie Day! 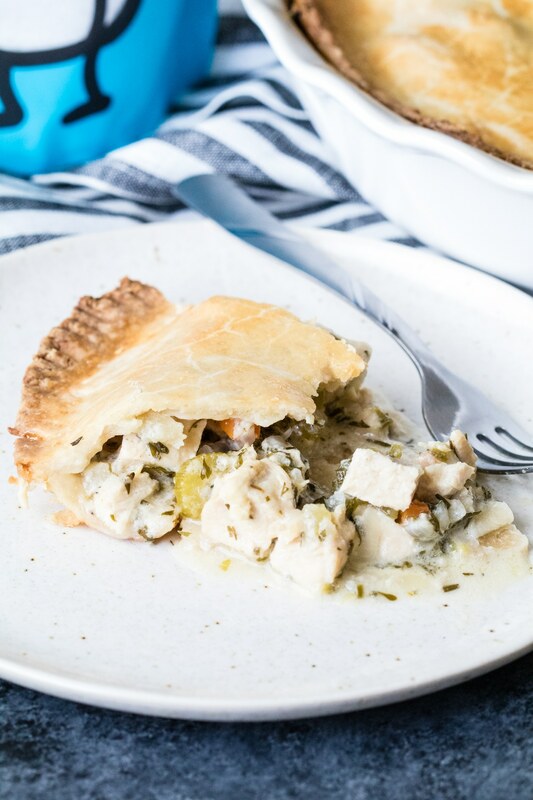 It’s National Pie Day so I’ve partnered up with Nuts.com to share this amazing Homemade Chicken Pot Pie with you today! Disclosure: I created this blog content in partnership with Nuts.com. I was compensated for my work, and all opinions are solely my own. Thank you for supporting the brands that keep Kroll’s Korner up and running! Apply the highest standards of excellence to the purchasing, roasting, and fresh delivery of our nuts. We are nothing without goals, missions, and core values! It’s great to see a company openly sharing what they believe in. National Pie Day was indeed created by he American Pie Council. When you think of pie, I am sure apple or pumpkin come to mind first. Am I right? Well I wanted to be a little different on this national holiday and celebrate with this healthy yet comforting homemade chicken pot pie recipe. While it can be fairly time consuming, I hope this video help show you just how simple it is to make homemade pot pie from scratch! Really…the most time consuming part is chopping veggies and letting the dough sit in the fridge! 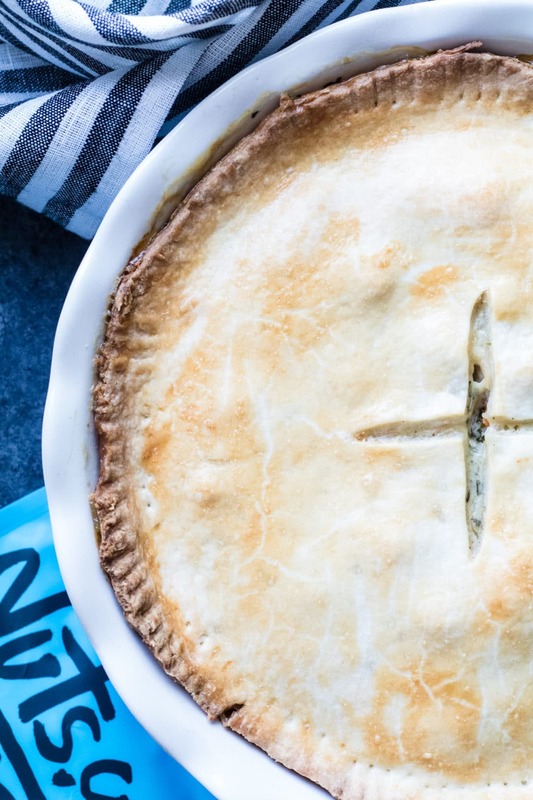 The crust to this pie is made using ingredients from Nuts.com and it is flaky, not too thin, not too thick, and has the perfect ratio of crust to pot pie filling. It enjoy a good crust and this crust recipe is indeed a keeper. 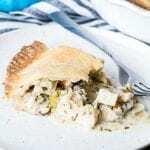 I hope you check out Nuts.com and enjoy National Pie Day with this Chicken Pot Pie recipe! Be sure to tag @krolls_korner on Instagram when you make a recipe! The Best Homemade Chicken Pot Pie to celebrate National Pie Day! Thank you Nuts.com for sponsoring this post! 2 pounds chicken, cooked (I used breast) directions below on how to cook! Preheat the oven to 375 degrees F. Make the crust in a food processor: combine flour, sugar and salt. Add in butter and pulse a few times. Slowly pour in the buttermilk so the dough begins to form. Flour a cutting board and start to knead the dough then begin to form the dough into a ball/disk. Cut this in half, wrap with plastic wrap and cool in fridge for 30 minutes. While the dough is in the fridge, cook your chicken breast. Seasoning generously with salt and pepper. Make sure there is also a little oil in the pan so your chicken doesn't stick. Cook the chicken for ~5 minutes and then add in the chicken stock and bring this to a boil. Simmer until the chicken is fully cooked and reaches an internal temperature of 165 degrees F for 15 seconds. Using tongs, moved fully cooked chicken to a plate and then reduce the chicken stock down to ~1 cup. Once the dough is nice and cool, roll out dough using rolling pin on a floured surface. It should be ~1/4 inch thick and wide enough to fit into your desired pie pan (standard 9-inch pie pan works great!). Ease the dough around, cleaning up the edges. Bake crust for 7 minutes. Meanwhile, melt the butter. Add in 2 tbsp. canola oil, carrots, jalapeños, onions, celery and garlic. Cook over medium heat until veggies become tender. Then add in the cooked & chopped chicken, flour and stir this together until nicely coated. Slowly add in milk and the reduced chicken stock and bring to a boil. Simmer until this mixture thickens up! Then add in chives, parsley, thyme, apple cider vinegar, salt and pepper. Set aside and let cool. Roll out the top piece of dough. Once the filling has cooled, place in bottom of pie pan and then seal the pie with the top rolled out dough (top crust). Brush with egg wash, being sure to get the edges so they don't burn. Use your form to decorate the edges. Cut 2 slits, or an X at the top to let steam release while pit pie bakes. Bake for 40 minutes, let sit for 20, then enjoy!